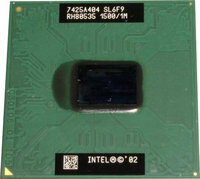 Intel - Pentium M 705 Intel Pentium M 705 1.5GHz Socket mPGA478C Mobile Laptop Processor CPU SL6F9. 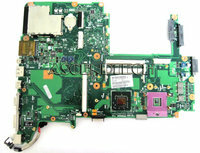 Dell - Inspiron 1318 Dell Inspiron 1318 Series Intel Socket mPGA478 Laptop Motherboard C903K 0C903K CN-0C903K. 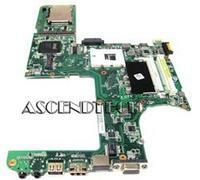 Asus - G50VT-X5 Series Asus G50VT-X5 Series Intel Socket mPGA478MN Laptop Motherboard 60-NV6MB1200-A02. 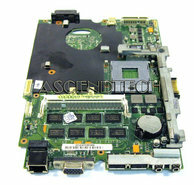 Asus - G50VT Asus G50VT Notebook Series Intel Socket mPGA478 Laptop Motherboard 60-NSZMB1100-A01P. 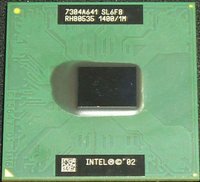 Hewlett Packard - PAVILION HDX9000 HDX9100 HP Pavilion HDX9000 Series Intel Socket mPGA478 Laptop Motherboard 448145-001. Dell - Inspiron E1705 9400 M1710 Dell Inspiron E1705 9400 Series Intel Socket mPGA478MT Laptop Motherboard GR640 0GR640 CN-0GR640. Asus - K60IJ Series Asus K60IJ Intel Socket mPGA478MR Laptop Motherboard 60-NX3MB1000-A01. Apple - iMac 20 A1224 Apple iMac 20 A1224 Series Intel Socket mPGA478MN All-In-One Logic Motherboard 820-2143-A. Tyan - S5102 Tyan S5102 Series Socket mPGA478B Server ATX Motherboard S5102G3NR. Asus - 60-NX9MB1100-B03 Asus G72GX Series Intel Socket mPGA478MN Laptop Motherboard 60-NX9MB1100-B03. Asus - P4B533-V Asus P4B533-V Intel Socket mPGA478 Chipset 845G ATX Desktop Motherboard.